For more than three decades, Sybaris Pool Suites have proven to be THE anniversary and birthday getaway destination for couples. 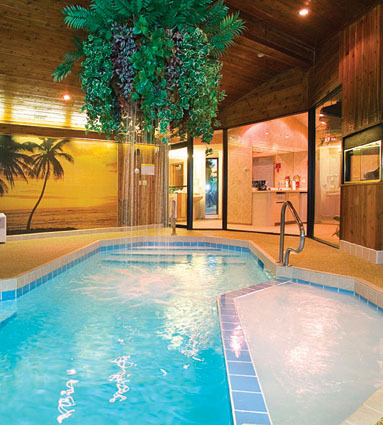 Being close to home and with flexible times, Sybaris is the perfect place for busy couples to enjoy a special getaway! Sybaris is a romantic paradise to ignite feelings, rekindle romance and enjoy quality time together. Our whirlpool and swimming pool suites are a delight to the senses, providing every amenity possible. It is ultimate romantic experience. We look forward to providing you the best Romantic Getaway ever! Same Day Reservations for Mequon Afternoon Getaways are unavailable, please select a different time. If you are paying for your reservation with a gift certificate or you are making a same day reservation please give us a call.